[W]ashington, DC power-trio Ex Hex will release their eagerly awaited debut album, Rips, on October 7th via Merge Records and we have been sent the fantastic first single, “Don’t Wanna Lose,” to help spread the word. It’s an out-and-out rocker which kicks you in the pants with set-to-stun guitar hooks and pulse-pounding drums. 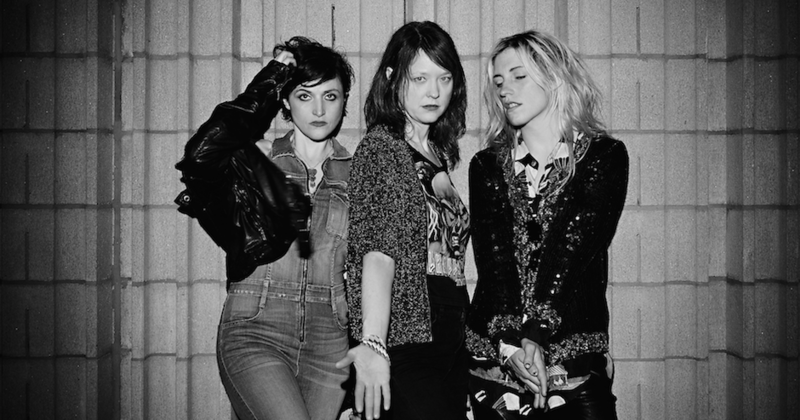 Ex Hex is Mary Timony (guitars/vocals), Laura Harris (drums), and Betsy Wright (guitars). The combined talent of the musicians makes for a gigantic sound! Timony is the hardest working rocker in the biz (with Helium, Autoclave, and Wild Flag notched into her belt), Harris honed her drumming chops in Aquarium, and Wright is an accomplished performer/piano player who mastered the six-string as the third member of the band. We’ll have more from Ex Hex as the release date draws near. Until then enjoy the one-two punch that is “Don’t Wanna Lose” and make sure the volume is turned way up for this one.